Is anyone on the Edge program? When I upgraded to the Maxx I was planning on getting on Edge, but because of a misapplied credit from Verizon to my account five months ago, which included a nasty collections notice on whomever they collected the $1,643 payment from, Verizon said I was not eligible for Edge. I had to contact the Better Business Bureau in order to get someone at Verizon to manually remove the collections notice and now I am eligible for Edge but I have used my upgrade. I almost found it a blessing that this happened so that I was not suckered into the program, but I am still debating fighting Verizon to allow me to get on since it was Verizon's mistake that prevented me from getting on the program in the first place. Please tell me it was a blessing! LOL! P.S. If you have a valid problem that Verizon refuses to fix, contact the Better Business Bureau. Verizon always responds to these complaints. Do you think you'll want to upgrade every year and pay for the phone monthly? I signed up for Edge. I came to Verizon from AT&T just to get the MAXX (I was tired of constantly charging my Nexus 4). I'm fine with Edge as I'm a frequent phone switcher and I didn't want to be stuck with a 2 year contract. With Edge you can pay off the balance of the phone at any time. My only problem with the Edge program is they are double-dipping on the HW costs. They are getting the full price paid for the phone (or the phone back if you only pay off 50% and upgrade) and STILL getting the subsidized monthly contract fee. However, you can also look at it as that premium is the price for not signing up for the contract. They no longer have a guaranteed 2 year revenue stream. So if I ever went into the program that's how I would have to justify it to myself. I have long thought that the carriers spend a lot of money on lobbyists to ensure that their contract pricing which includes subsidizing the cost of phones even after the cost of of those phones has been recouped is bordering on fraud. I am sure they make a lot of money from subscribers that keep their phones longer then 24 months. Any others out there feel as I do? I would love a new phone every year, but it really bothers me that I would be paying twice as much for the phone for that opportunity. If the plan price went down when the phone was paid off like it does at T-Mobile I would totally be on board, but it doesn't. I am not yet ready to switch to T-Mobile either. I could probably make my case to Verizon today and get on Edge, but I still have not decided if I want to do that or not. Another pitfall of the edge program is that when you switch phones after a year you have to give up your phone you've been using the past year. Essentially you're just paying to rent the phone. By not being in the Edge program, you have to wait 2 years, but you get to keep that expensive phone you paid for initially (which I've often sold on ebay or kept for personal use, such as an mp3 player).... Just my opinion, but the Edge program seems such a ripoff. I would not say "ripoff". It's an alternative for those who want new phones. They do not have to deal with swappa or CraigsList. This will be a good option for some. There are a surprising number of people on forums who are a part of the Edge program. I also think that they're simply using it for profit, as they do not lose anything, really. Though a lot of users on EDGE are coming from unlimited data plans. It may be a justifiable option for those subscribers, assuming Verizon continues to allow them to stay on Unlimited. I would say no, it's not worth going to Edge. You really are paying double for the device, whether people see it like that or not. If you want a new device, sell your old device and find one online from craigslist/eBay/Swappa. If you're buying phones unsubsidized, you will save a lot just buying phones from people who are flipping their upgrades online. Whether or not they're ripping customers off depends on your view of pricing of the US Carriers. It's well documented that they are charging you a subsidy, which is baked into your monthly payment, for a phone. Some people see this $90 charge as just a $90 charge, and some see it as $70 for service, and $20 subsidy for a phone. It's not a rip off if you don't think about the subsidy, but if they continue to charge you for subsidizing a phone AND paying monthly for that same phone, then how is it not a ripoff? Not to mention those who choose to trade in the phone for a new one. You pay twice for a phone every month, and you don't keep it. CrazyRussian007 and bbgirl180 like this. Forgetting the details of the plan, I DO recall realizing that the Edge plan would appeal to frequent phone switchers. I was one of the people with unlimited data plan I have had for years and I wanted to upgrade so I looked at the new 2 year 6gb share plan that I am not currently on and I average 6gb or under a month and I did the math on how much more it would cost me over the 2 year contract and it was $612 dollars+$327.58 for the phone=$938.58. I also looked at buying it at full price. But I decided to go with the Edge plan and the $30 6gb data and kept my current minutes and text plan and I only pay $27.08 more than I did before and thats the phone payment. And if I upgrade in a year which is possible I will have paid the same amount for the phone as the 2 year contract and If I keep it for 2 years I will still have paid the same as if I purchased it at full price. I think it will work for me cause a new phone may peek my interest in a year or it may not. raichur0xx0rz and KingRamen like this. Yep, if you're going to buy a phone outright anyway, you might as well just hop on that cheap 6GB promo, as that is a good deal. I'm thinking about doing the Edge program when the Note 3 comes out. But my plan is to make more than the minimum monthly payments. So I can have the phone paid off in like 6-8 months. I don't want to be required to trade my phone in just to get a new one. I still own a Droid X, does that tell you anything? Edge would be a huge waste for me! If my GNex was still in good health I'd keep it until it's last charge. I'm just having too many performance issues with it right now. Hopefully the GN3 can fix that. I qualified to pay monthly over 12 months for my Maxx. I did this to keep my unlimited data. Best part is since I'm off contract, if I want a new phone after a year, I sell the Maxx & buy a new phone the same way. If they don't allow it or they force me off unlimited which I'm sure is coming, I'll either switch T-Mobile if they have better service here or join Edge. I don't mind paying a higher price to get a new phone yearly. Sadly, doing the math, I'll wind up paying about $60 more per month when they force me off. That's ridiculous. With that said, I have the choice to move on. Stupid Verizon and your superior coverage! Edit: I wanted to clarify that $60 is for the data package that is capped vs my current unlimited plan. That's what is ridiculous. If you can afford it, EDGE essentially is charging you ~$300 for each device. For those who don't care to keep the phone or simply don't want to bother with reselling it, then it's probably an easier way to go about getting a new phone every year. I am seriously considering the Edge program. Last year I bought my phone at full price, and now the "trade in" price from Verizon is only $120. Or I could sell in ebay for around $300, minus any shipping and ebay fees, leaving me around $275. So I paid 650 for it and the most I can get back is 275, meaning that I paid 375 to use the phone for a year. And I'll pay 30 when I get a new phone as an upgrade fee. Had the Edge program been available, I would have paid 325 (half the price of the phone) in 12 monthly payments and then traded the phone in for a new one, with no upgrade fee. So for people who like to get a phone every 12 months, the Edge program makes sense. "Can I pay more than my scheduled monthly Verizon Edge installment? No, unless you are either seeking to Edge Up to a new device, which requires that you pay at least 50% of the device following the initial six months of the Verizon Edge Agreement, or you are seeking to pay off 100% of your Verizon Edge installment agreement, which you may do at any time. " I am eligible to Edge Up, but Id rather upgrade my phone under a long-term service agreement rather than a Verizon Edge Agreement. Can I sign up for a long-term service contract to get a new device if I continue to make my monthly Edge payments? No. If youre currently under a Verizon Edge agreement, you cant also sign a long-term service contract. You must first pay off the remaining balance of your Verizon Edge phone, either in full or according to the scheduled monthly installments. Then, you can purchase a new device under a long-term service agreement. Agreed. Carriers like Verizon and ATT do not lose money on these plans. They're making profit on both the phone and the plan regardless whether it's Edge or Next, or contracts. By getting people to upgrade more frequently that profit turn around is just that much faster. They're satisfying peoples insatiable desire to always have a new phone but it comes at a price. They're making the same money on the service and the customer is paying more upfront on the phone. If they keep the phone more than a year the profit goes up. Just my opinion. Trash it if you must. I decided to not fight to get on Edge because I just can't wrap my head around leasing a phone. If I had money to spare, it would be a good plan, though still much more expensive than the T-Mobile Jump plan. Not only do you pay less in general for T-Mobile, but the monthly fee to be in Jump goes toward your insurance. If I want a new phone in a year I am sure I will get a good price for this Maxx and then just buy a new phone outright from Amazon. I know, still like leasing, but keeping Verizon directly out of the $$$$$ loop is my goal. I am hoping in two years T-Mobile's network will match Verizon cause I am over Verizon, its high prices and its negative policy towards customers. Buying a new phone from Amazon still puts money in Verizon's pocket. It is Verizon's phone you're buying. That logo stamped on the phone is there because they bought it from a manufacturer to sell. It doesn't matter if you buy it from a corporate store, a local retailer or online. Since there is a third party involved the do make less, but I doubt it is significant. Verizon still gets paid. As for my take on the Edge program, it doesn't work for me. I still have every cell phone I've ever owned, and I plan to keep it that way. I'll probably set them up with my CPU collection one day. I have CPU's all the back to the original Intel 4004, and I'm still collecting them. I have one of those old Nokia candy bar phones. Worked great where ever there was signal. 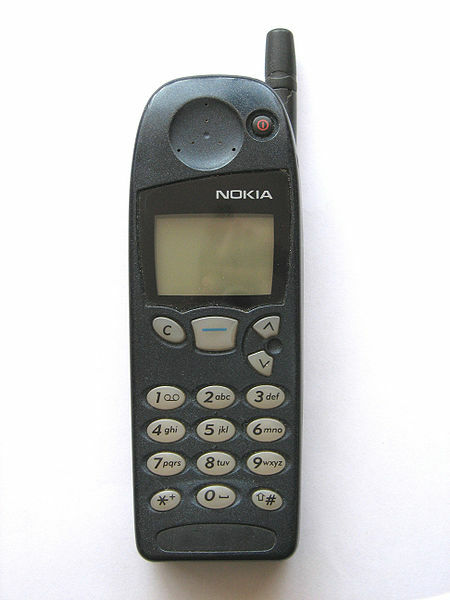 Is that old Nokia phones one of those that had a built-in flashlight at the top? External storage for the Thrive?